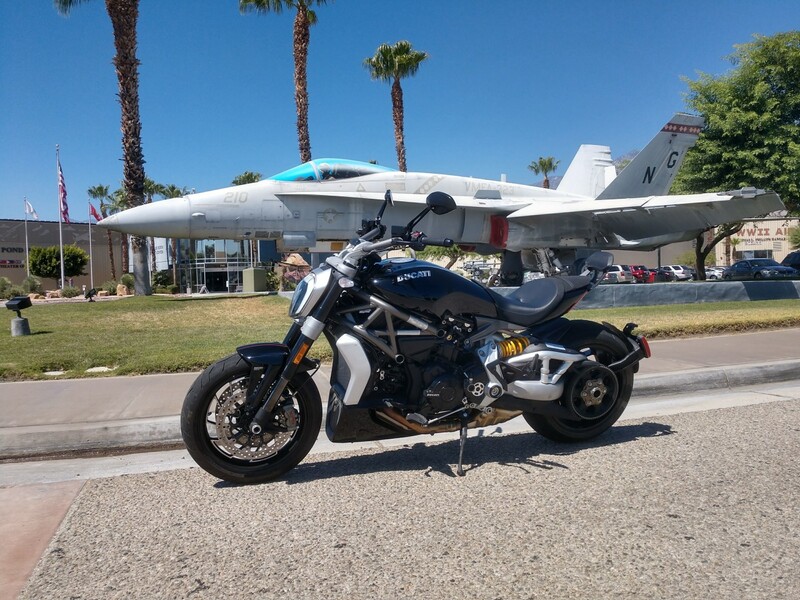 I spent a few awesome weeks riding the amazing 2018 Ducati XDiavel S. This is the Italian motorcycle company’s new “techno-cruiser,” a bike designed to compete with Harley-Davidson, Indian and other V-Twin cruisers. With a technically advanced 1262 cc engine pumping out 150 horsepower, it’s quite a monster (excuse the Ducati pun). 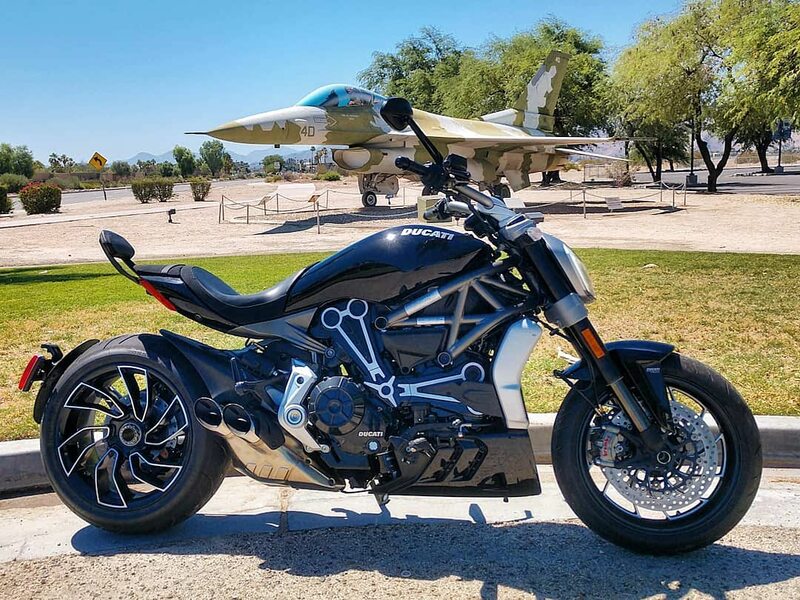 But while the XDiavel S has a big Ducati racing engine, they’ve packaged it in a futuristic-looking cruiser bike with a low seat height, forward controls and a relaxed riding position. They’ve also tuned the engine to offer great low-end torque, something necessary for cruising. Don’t get me wrong, this is still a Ducati engine and will happily scream all the way to its 10,000+ rpm redline. 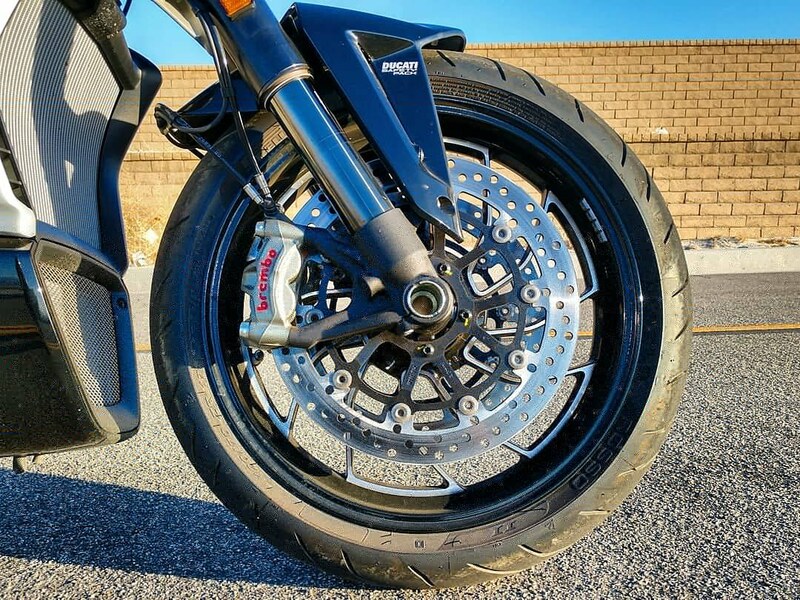 The motorcycle comes with all kinds of goodies like ABS and Ducati Traction Control. It also has three electronically controlled riding modes, Sport, Urban and Touring. Urban mode reduces the horsepower from 150 to 100 and provides the maximum ABS and traction control. Sport offers the full 150 horsepower and reduces the intervention of the electronic countermeasures. You can also manually control everything and and set the intervention to whatever level you like. The bike’s electronics also monitor lean angle, speed and other factors to determine the level of interaction. 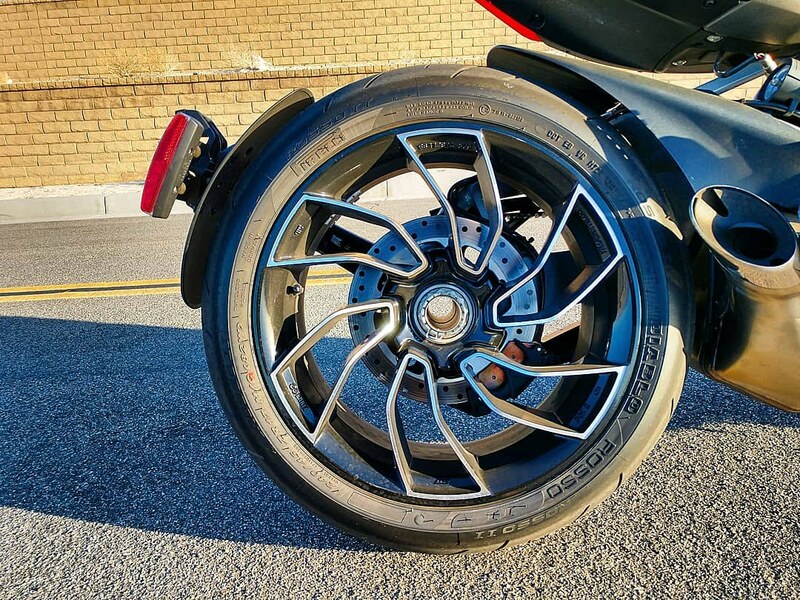 For example the Brembo brakes have what’s called Cornering ABS. This (disable-able) system provides different ABS interaction based on the lean angle (and cornering level) of the bike. This cruiser even has launch control with the Ducati Power Launch system. Controls and electronic technology settings are accessible via a digital dashboard, which can then be set to display varying degrees of information, from cluttered to bare-bones. You get other cool gear like front and rear LED headlamps and tailight and a hands-free ignition like a luxury car. Riding position is comfortable and low and there are multiple seat heights and multiple handlebar options to further customize the experience. There are 60 different configurations for the rider, including pedal, handlebar and seat adjustments. That 60 is part of a key formula Ducati is touting for the XDiavel, the formula is 5,000, 60 and 40. 5,000 refers to the rpm level at which the cruiser-tuned engine hits its maximum torque. 60 refers to the number of possible riding positions and 40 is the degrees of the bike’s maximum lean angle. Try that on a Heritage Classic. Aside from the technology, the look of the bike is very futuristic, like something out of a Terminator movie. It’s a truly unique bike, as you see the rider in a traditional cruiser position, with the forward controls, but the surrounding bike, with all the exposed technology, looks like no other cruiser out there. Most importantly, the riding experience is amazing. The engine is crazy, insanely powerful and this makes the bike incredibly fast. 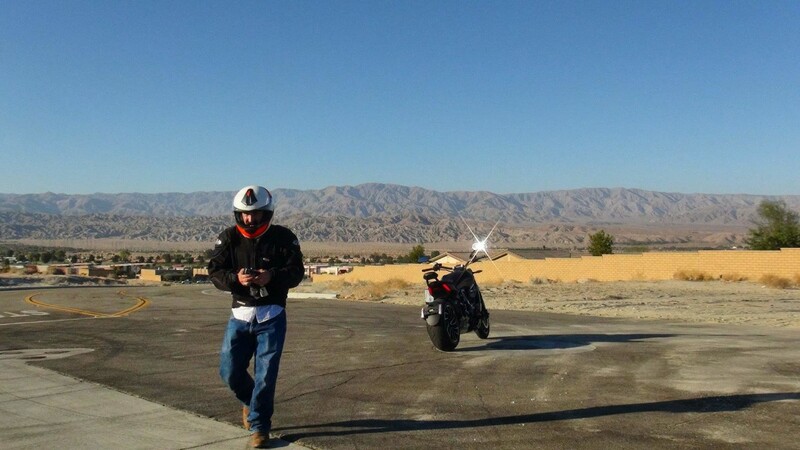 Although the riding style is relaxed, you can lean forward and ride it more like a sportbike. The handling is also incredibly precise on curvy canyon roads, but also buttery smooth on the freeway. 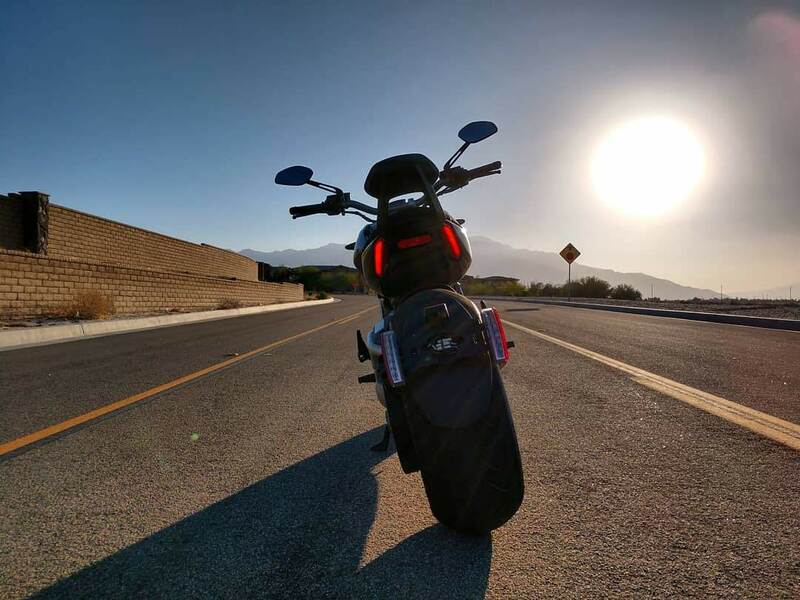 I rode the XDiavel S back and forth between LA and Palm Springs (100 miles) a few times and it was just wonderful. 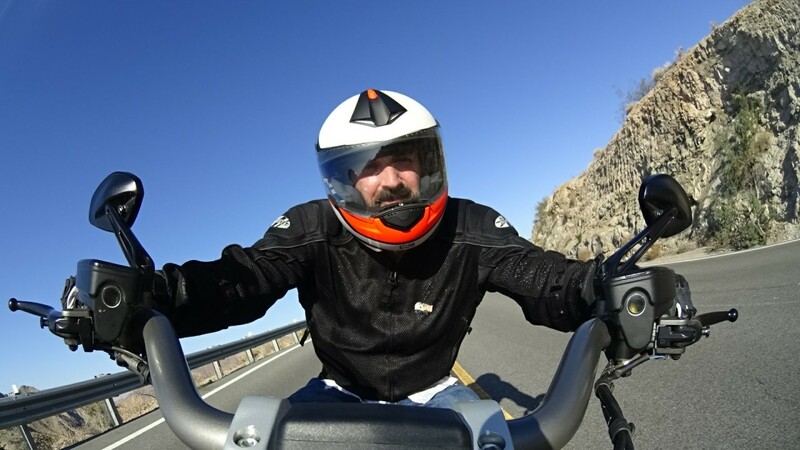 One tiny complaint, I did have some vibration issues with the rear view mirrors (not the handlebars or anything else) and it was sometimes hard to see traffic behind me while on the freeway. It wasn’t a problem, but I ride the route often and have not experienced it with other bikes. Aside from the freeway riding, I rode to Idyllwild via CA74, one of the state’s best motorcycle roads. The Ducati was awesome on the 50 miles of two-lane mountain road rising and falling 8,000 feet in elevation. Again, the bike flawless shifted between cruiser and canyon carver, sometimes wonderfully blurring the two.